The leaders of Russia, Moldova and Transdniester have agreed to call in European security monitors to keep the peace in the breakaway region. “All parties have confirmed the stabilising role of the peacekeeping mission in Transdniester and agreed that it would be sensible to transform it into a new mission under the OSCE's aegis,” said Russian Foreign Minister Sergey Lavrov, following a meeting between Dmitry Medvedev, Moldova’s President Vladimir Voronin and Transdniester’s leader Igor Smirnov. The joint statement signed on Wednesday outlines the further direction for peace in Moldova’s breakaway region. Voronin and Smirnov “praised Russia’s effort in implementing agreements, which will eventually lead to a final resolution of the conflict,” Lavrov said. The talks between the Moldovan and Transdniestrian leaders with Russia’s mediation took place in Moscow. Earlier some reports speculated that the meeting might fail to take place at all as there was no confirmation that Vladimir Voronin would take part. Transdniester has been seeking independence from Moldova since the final days of the Soviet Union. The region has a predominantly Russian and Ukrainian population, with Moldavians a considerable minority. 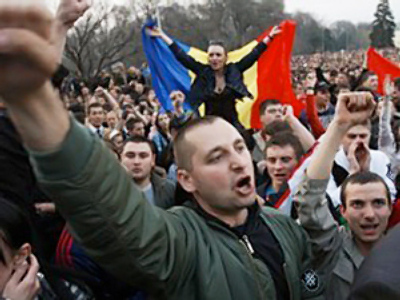 In late 1980, the local authorities in Moldova sought closer ties with Romania, and Transdniester's population – which feared discrimination – launched a campaign of civil disobedience. The tension erupted into armed conflict, which was stopped by Russian peacekeepers. 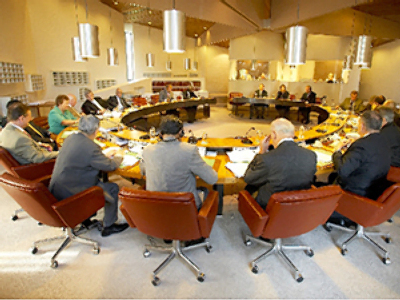 The region's peace process is sponsored by Ukraine, Russia, the European Union, the United States and the OSCE. So far Transdniester is not recognised as an independent state by any major country.